The SPLC is seeking the release of Manuel Duran, a journalist who was unlawfully arrested by Memphis police and detained by U.S. Immigration and Customs Enforcement (ICE) in retaliation for reporting on controversial issues related to law enforcement in Tennessee. The petition for Duran’s release argues that his arrest and detention were an effort to suppress his reporting, and that they violate his First Amendment rights of freedom of speech and the press, his Fourth Amendment protection against unlawful arrest and detention, and his due process rights. The filing was announced on Monday at a press conference in Memphis, Tennessee, where local community groups gathered to show support. The SPLC represents Duran through the Southeast Immigrant Freedom Initiative (SIFI), a project of the SPLC that enlists and trains volunteer lawyers to provide free legal representation to detained immigrants facing deportation proceedings in the Southeast. At Monday’s press conference, Duran’s girlfriend, Melisa Valdez, read a statement Duran wrote from behind bars. 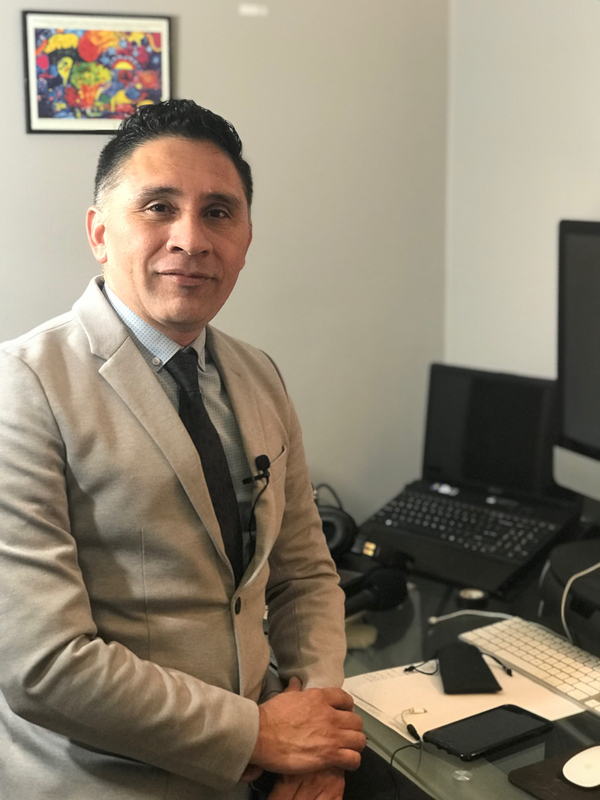 Duran, who was a TV reporter in El Salvador, is now a well-known and respected reporter in Memphis for the Spanish-language publication Memphis Noticias. He also posts his reports on social media. He was arrested on April 3, while reporting on a Memphis event related to the 50th anniversary of the assassination of Dr. Martin Luther King Jr. The demonstration included a protest of local law enforcement’s practice of detaining suspected immigrants and handing them over to ICE custody. Manuel Duran. Photo by Melisa Valdez. In his previous reports, Duran had exposed the ties between local police and ICE in immigration enforcement and has written articles critical of the immigration detention system. On April 3, he was reporting on the events of the demonstration when Memphis police arrested him, the petition states. Two days after he was arrested and while still in jail on charges of disorderly conduct and obstruction of a highway or passageway, the charges against him were dropped, and a judge dismissed the case. But he was not released from the Shelby County jail and instead was turned over to ICE. He was transferred to ICE custody and was transported to LaSalle Detention Center in Jena, Louisiana. On the bus, he was shackled by his wrists, ankles and waist, and was forced to endure the eight-hour ride without access to a bathroom, the petition states. Duran remains unlawfully detained by ICE as a direct result of his retaliatory arrest and detention, the SPLC petition states. Duran’s arrest recalled the case last year of Daniela Vargas, a woman who was arrested and detained by ICE after speaking at a press conference in Jackson, Mississippi about immigration enforcement. The SPLC filed a petition arguing that Vargas’ First Amendment right to free speech had been violated. Shortly afterwards, Vargas was released from ICE detention.